Kids love hideouts, secret spaces, and unique places to use their imaginations for all sorts of fun and adventure. We found this amazingly beautiful teepee for kids that’s a perfect place for kids to camp out and play or simply enjoy some alone time. 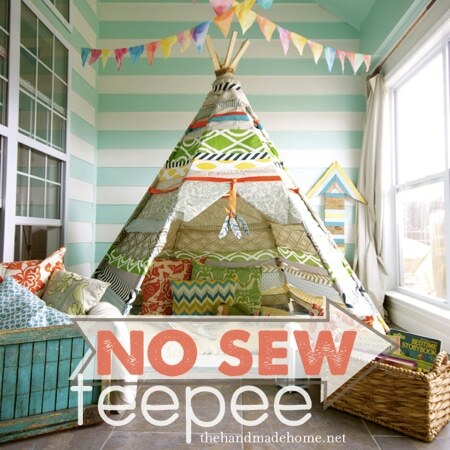 Fortunately, the mom that designed and built this teepee was clever in making it so that no sewing is required.